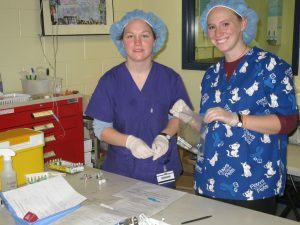 Students at The Tufts Shelter Medicine Program at Cummings School can gain hands-on experience outside of the classroom during their pre-clinical years through participation in the Selective Program The Shelter Medicine Program also offers four didactic Selectives courses that can be taken by students with a significant interest in the field. 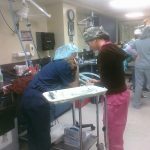 The Selectives Program also offers a mechanism whereby students with a special interest in shelter medicine can engage in a more comprehensive program. 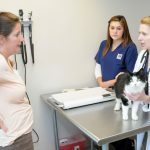 Sunday Clinics for Community Cats: Students participate in a series of learning stations, ultimately culminating in spaying and neutering cats. WHA Outreach Clinic: Students visit underserved Worcester residents to provide basic health checks in collaboration with a program at Becker College. 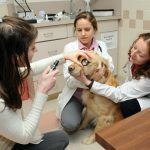 Tufts at Tech Community Veterinary Clinic: Students can observe and participate in patient care. Shelter-Based: Students can spend time in area shelters, cleaning, helping with basic tasks and walking dogs. Shelter Visit: Students visit eight area shelters and compare operations. 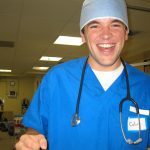 The Selectives Guide contains a complete list of all the Shelter Medicine Selectives. 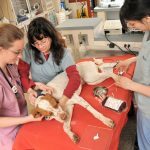 Discussing how animal welfare is studied scientifically, this course combines examples from farm animal welfare, laboratory welfare and shelter animal welfare. 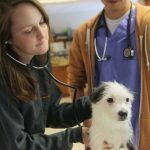 This class includes the basics of Shelter Medicine, such as sanitation and disease prevention, shelter policy and how veterinarian help to provide a safe and healthy shelter environment. It’s taught by shelter vets and includes several field trips to shelters. 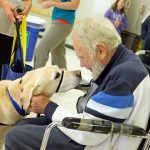 Taught by the Center for Shelter Dogs’ Associate Director, this class covers the application of animal behavior to various animals and situations such as shelter animals. 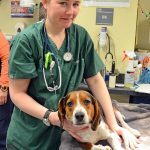 Led by Dr. Martha Smith-Blackmore and made possible through the generosity of the ASPCA, this course teaches the basics of legal investigations, the veterinarians role in cruelty cases and patterns of injury seen in animal abuse. For a more detailed outline of courses and pathways of classes, please review the DVM Curriculum.